I’ve gotten pretty good at ignoring that Midwestern voice, or at least sidestepping it. I tried, but as I was about to slip the bowl into the trash bag, it got louder, sounding a lot like my mom: “Nooooo! It’s SIIILVER!” “OK,” I bargained, “if I have any silver polish under the kitchen sink (where all that stuff languishes), I’ll shine up the bowl to see if it’s worth keeping.” Why would I have silver polish? I figured it was an easy escape from The Voice. Who knew? To my surprise, I did have a jar of silver polish under the sink, (apparently another remnant from one of my weddings). Alas, let the cleaning begin. I covered the bowl with the grey goop and, as per instruction, allowed it to dry. Wiping it off (with a clean cloth—another surprise under the sink), I discovered that, once the tarnish was rubbed away, the bowl was pretty snazzy. “I’m gonna keep this,” I said, as The Voice basked in the warm glow of its little victory. Once I’d made the decision to keep it, I looked at the bowl more carefully, noticing the spots I’d missed. I applied more grey goop on the offending areas, waited, then rubbed it off—a bit harder this time. Ah, nice and shiny, both outside and in. More polish, and now the scrubbing took longer, not to mention the occasional spray from the toothbrush bristles, requiring goggles. (Silver polish stings the eyes.) The work was more localized and focused, taking longer to cover smaller areas. But finally, after rinsing with warm water, the rim and the legs were sparkling. “Good work,” I cooed to myself. Oops. For the first time I noticed the thin etched lines swirling both on the interior and the exterior of the bowl. They were still tarnished, not an eyesore, but still not shining like they could. My impulse was to ignore them, but now The Voice reared up again. “Finish what you started. Quit being lazy.” Urrgh! Q-tips. Again, the work was much more localized and painstaking. Following those swirls wasn’t easy, but after some close attention, a little bad language and a sore wrist, the silver bowl was finished. It glistened. Everything Midwestern in me shone with the glow of a job well done. 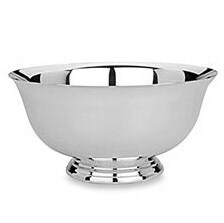 I filled my gleaming silver bowl with apples and set it in the center of the coffee-table. Voilá! It’s not like, when I found the bowl, I immediately saw that the leafing or the etchings were tarnished and needed work. I had plenty to do before I was able to notice those smaller details. Move from bigger to smaller. Don’t sweat the small stuff until the big stuff is cleaned up. Intent is the biggest: What’s your song about? Try to say it in one phrase. Prosody is huge: Is this idea stable or unstable? All your decisions about structure will depend on how you answer this question. These three questions establish the Point of View of your song: 3rd Person Narrative (he, she, they), 1st Person Narrative (I, we, he, she, they), 2nd Person Narrative (you, he, she, it, they), or Direct Address (I, you). They also ask why you’re saying what you’re saying. What’s the point of the song? Verse development is big: how can you develop your verse ideas so your chorus (or refrain, in an AABA form) gains more meaning, more emotional weight, each time we hear it. Song form is middle-sized: Verse/Chorus or Verse/Refrain? Deciding on things like rhyme scheme, line lengths, number of lines, is small. Changing a line or a word is really small. Don’t spend too much time up front searching for the perfect word when you’re still working on the bigger decisions. Everything could change. Don’t sweat the small stuff until the big stuff is cleaned up. Gather tools. Obsessively. You’ll need them for all the different jobs you have to do. Keep them under your kitchen sink. Pat Pattison is a Professor at Berklee College of Music, where he teaches Lyric Writing and Poetry. In addition to his four books, Songwriting Without Boundaries, Writing Better Lyrics, The Essential Guide to Lyric Form and Structure, and The Essential Guide to Rhyming, Pat has developed three online lyric writing courses, one on poetry, and one on creative writing available through Berkleemusic.com. 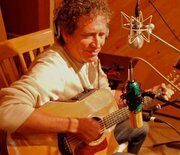 He has written over 50 articles for various magazines and blogs and has also filmed a free 6-week online songwriting course for coursera.org, available March 1st, 2012. Pat continues to present songwriting clinics across the US, Canada, Australia, New Zealand and the UK. Several of his students have won Grammys, including John Mayer and Gillian Welch.